Α1 Where Are You Going, Helen? Β2 Where Were You, Partridge? This compilation is comprised of field recordings of traditional songs recorded in various locations of Peloponnesos, Greece. Tracks are noted on the album by the village in which they were recorded. Artists have not been noted as band names do not exist. These songs are played by villagers who happened to gather and play together when these recordings were made. 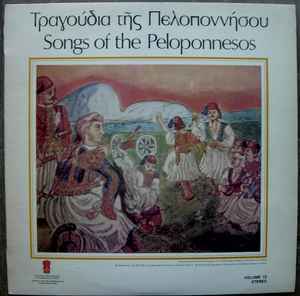 Recordings were made by Simon Karas, the "artistic and general director" of this series and this label, between 1920 and 1975. As with all the releases of this series, this is accompanied by a booklet with lyrics in both greek and english.